I mentioned in an earlier blog post that our daughter is moving to New Orleans for a year. My husband and I had gone to New Orleans to find an apartment for her. Now, the time for her move is very near. In fact, the movers will be picking up her furniture tomorrow and driving them out to New Orleans. Unfortunately, since our daughter has another week of work in her old job, that’s where my husband and I come in. Our son is taking care of our house, which always makes traveling a lot less worrisome for us. We drove to New Orleans, Louisiana (thus the “NOLA”) so that we can meet the movers when they get here on Sunday. There was no way our daughter could be at both sites, since she will have only a weekend off between jobs. I am writing this from our hotel room. Today we headed over to her apartment, and started the process of getting her somewhat organized before she arrives in town next weekend. 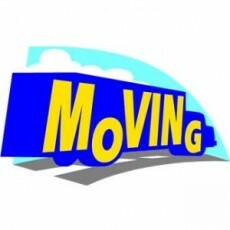 Growing up as military dependent and then marrying back into the military, moving is old hat to me. This is going to be an extremely quick trip because we are planning to visit our daughter in New Orleans several times, and that’s when we will be exploring New Orleans. Plus, it’s almost as hot here as it is in San Antonio at this time of year. Certainly it is not an optimal time to vacation in ether place! My suggestion for hot muggy days is just stay in the air conditioning and read (I’m not a pool sitter) and relax. Have fun! However, I do like your idea >>> a whole lot! Kim, so true about the “expiration date”! We are so lucky to be able to do things like this. Before my husband took early retirement, we had to plan all of our times away from home. There was an interesting story this morning on NPR’s Morning Edition (Fri.) about self publishing and ebooks. In the beginning, they mentioned the romance novel writers’ convention in San Antonio. Aw shucks, Danna, you missed it by going to New Orleans!!! I thought it was somewhat informative. Here’s the link if anyone wants to listen to it. MJ, doggone it! I don’t know what conventions they have going on now in New Orleans, but the city seems full of tour buses and lots of people with matching tee-shirts. In New Orleans they probably hold the paranormal/psychic writers’ convention!! All that ‘woo-woo’ stuff. Just got home from meeting my future daughter-in-law for the first time. We drove 4 hours one way to watch her in a play and spoke to her about 5 minutes and left. Seems like a really nice girl. Oh the things we do for our kids……. I’m sure both of them will look back and cherish the fact that you drove eight hours for a five minute visit. And, it’s great that you came away liking her! Danna I read your preparations for your daughter’s move. It is hard to see them leave the nest. Right now Sunday I am sitting here feeling so sad. My daughter and her children just left to fly back home to Denver.I will miss them so much because of school schedules and work I have not seen the children for a couple of years. I used to fly out there but my health has made such trips impossible. They grew up so fast in that time. Now they will be able to fly to me. I always like to read books that are set in the places that I’ve visited. I love NOLA! Barbara Colley and Laura Childs (Scrapbooking series) really depict NOLA. By the way, two restaurants I would recommend are Deanies’s Seafood (moderately priced) and K Paul’s (more expensive). Both are in the French Quarter! Teressa, thank you for the restaurant recommendations. Is K Pauls Paul Prudhomme’s restaurant? I remember him from way back before there were 1,000 and 1 food shows on television. I will definitely seek his restaurant out. And I’ll try to remember Deanie’s Seafood. Yes, it is Paul Prudhomme’s restaurant. He can be seen there on occasion, as well. Of course, you will have to get a beignet at Café du Monde! Teressa, Café du Monde sounds like it will be another something/something to look forward to!